Many people think we celebrate the Fourth of July because it is the day we received our Independence from England. 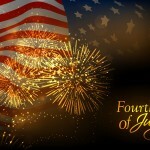 Have you ever wondered why we celebrate the Fourth of July or how the Fourth of July holiday came about? Many people think we celebrate the Fourth of July because it is the day we received our Independence from England. While those people are thinking along the right track that is not the entire reason that we celebrate the Fourth of July, nor is it the reason that the Fourth of July holiday came about. Way back in the 18th century the United States was not considered the United States. In fact, what we now call states were actually called colonies. The United States was actually an extension of England. People traveled from England aboard ships to settle in America, but eventually differences in life, thought, and interests began to develop which caused a rift between Britain and America. When the colonies were first settled they were allowed to pretty much develop freely without hardly any interface from Britain, but things abruptly changed in 1763. Britain suddenly decided that they needed to take more control over the colonies. Britain decided that the colonies needed to return revenue to the mother country and they needed to pay for the colonies defense, which was being provided by Britain. But the colonies did not agree with these new rules at all. They felt that since they were not represented in Parliament that they shouldn’t have to pay any kinds of taxes to the mother country, hence the saying “no taxation without representation”?. When Britain continued to tax, the colonies formed the First Continental Congress to persuade the British government to recognize their rights. When this didn’t work a war was declared, which is known as the American Revolution. After the First Continental Congress failed to persuade Britain to recognize the colonies’ rights, and war was declared, things began to heat up. Many people who were both considered moderates and radicals had decided that enough was enough and that any kind of taxation without representation was considered tyranny. People such as John Adams, Samuel Adams, and Ben Franklin, as well as a group called the Sons of Liberty decided that it was time to unite all of the colonies and to stand together against Britain. During the course of the American Revolution a second Continental Congress was formed. It is this group that adopted the final draft of the Declaration of Independence. The Declaration of Independence was drafted by John Adams, Ben Franklin, Thomas Jefferson, Robert R. Livingston, and Roger Sherman. After the first draft was written by Thomas Jefferson, it was revised by Ben Franklin, John Adams, and Thomas Jefferson before it was sent to Congress for approval. All thirteen colonies stood behind the Declaration of Independence and adopted it in full on July 4, 1776. This is where the Fourth of July holiday comes in. 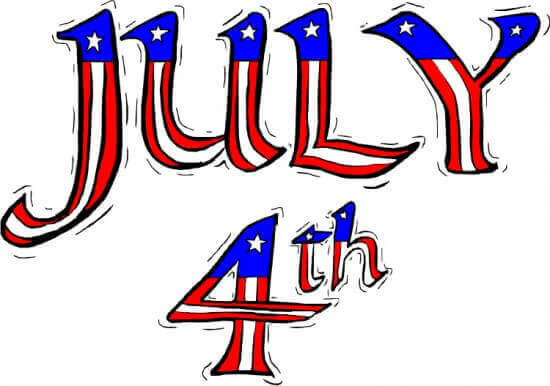 The Fourth of July is known as Independence Day because that is the day that the Second Continental Congress adopted the full and formal Declaration of Independence. Even though we had declared that we were independent, the American Revolution was still being fought, which meant that we were still not independent. Regardless of the ongoing war the following year, people in Philadelphia celebrated a muted Fourth of July. 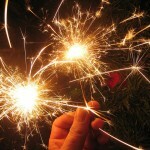 While celebrations on July 4th during the American Revolution were modest, after the war ended in 1783 the Fourth of July became a holiday in many places. The celebrations included speeches, military events, parades, and fireworks. To this day the Fourth of July is the most patriotic holiday celebrated in the United States. "A Brief History of the 4th of July." Surfnetkids. Feldman Publishing. 28 Jun. 2007. Web. 18 Apr. 2019. 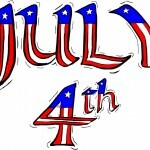 <https://www.surfnetkids.com/independenceday/216/a-brief-history-of-the-4th-of-july/ >.